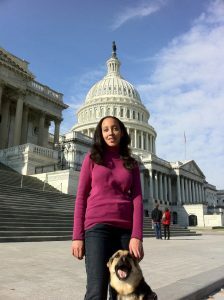 Disability rights advocate Haben Girma has given a TEDx Talk, met with President Obama as a White House Champion of Change, and presented on the importance of inclusive design at Apple’s Worldwide Developers Conference (WWDC) 2016, helping iPhone and iPad developers understand why they should design with the disabled in mind. 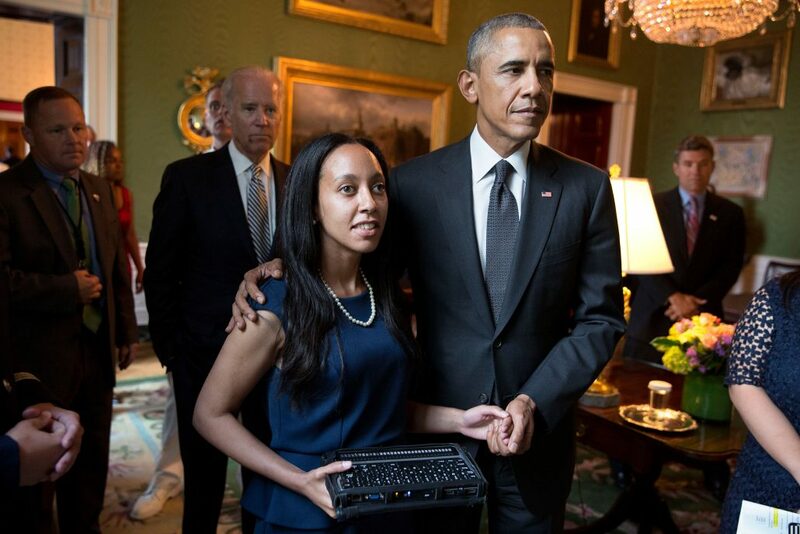 She’s also the daughter of refugees and the first Deafblind person to graduate from Harvard Law School. Haben Girma outside the U.S. Capitol with her trusty friend, Maxine. Armed with her law degree and a spirit of determination, she’s fought those barriers for herself and others. She put pressure on digital library Scridb until it made its collection of documents accessible to people using screen-reading software. She urged TEDx Talks to caption their videos for the Deaf and hard of hearing community. (They captioned her talk but many more videos remain inaccessible to those who cannot hear.) She’s also called out Uber drivers for failing to accept her service dog in violation of the Americans with Disabilities Act. 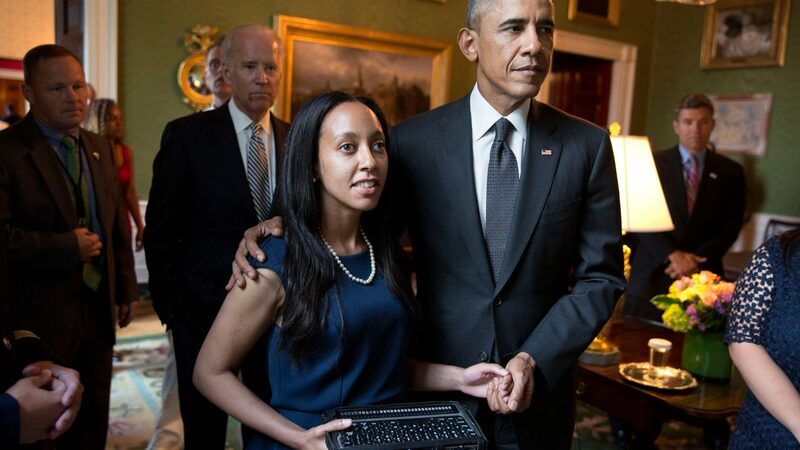 In addition, Girma urges app developers to ensure that their technology is inclusive to people with disabilities. In her WWDC presentation, she compares it to constructing a building with an elevator from the start instead of adding one later. In between trips around the world to present on disability rights and inclusion, Girma has tried surfing, rock-climbing and loves to salsa dance. Folks talked with Girma via Skype chat (she uses a Braille keyboard or listens to VoiceOver at the high frequency she can hear) about why inclusive technology matters and how she’s spreading that message. The following excerpts have been edited for clarity and flow. What misconceptions about being Deafblind do you encounter and how do you challenge them? People assume my disability will prevent me from doing things like rock climbing or law school. I go ahead and do it anyways. Disability is not a barrier to overcome. Negative stereotypes and low expectations are the biggest barriers. Do those negative stereotypes/low expectations ever make you feel lonely or isolated? Over the years I have developed a strong community of friends who share my values. Why do you think inclusive technology is important, not just for people with disabilities but everyone? We build better products when we plan for access from the start. Everyone gets a higher quality product. The business gains access to a bigger market. There are about 57 million Americans with disabilities, and 1.3 billion people with disabilities worldwide. Businesses also avoid the costs of litigation from ADA violations. A lot of people build products and think, “We’re just a startup. We’ll figure out accessibility later.” Trying to make something accessible after it has already been built is more expensive and time-consuming. What do developers need to keep in mind, since the needs of people with different disabilities can be diverse? Apple’s guidelines for iOS include access for Deaf individuals (captions), access for folks with mobility disabilities, and other disabilities. Apple has accessibility guidelines for developers. Android has guidelines, too. For websites there is the Web Content Accessibility Guidelines. So, the information is there but the gap is in implementation and knowledge? Haben Girma enjoys her first surfing lesson in San Diego. What do you have planned for 2017? More work on inclusive technology? Yes, this year I have many presentations on disability rights/inclusion. Most in the US. Some abroad, too. What is your favorite country that you’ve visited so far? 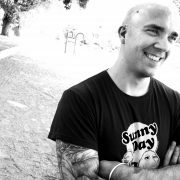 Several years ago I visited Spain and loved it. Great food, great people, and great salsa. 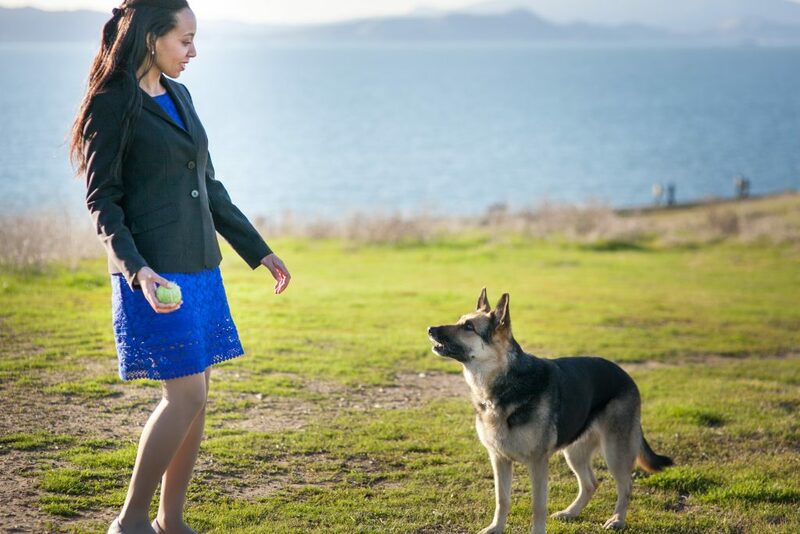 Haben Girma plays with her German Shepherd, Maxine, at the Berkley Marina. How did you get into salsa dancing? A blind dance instructor gave me my first salsa lesson. I have been dancing ever since. Is there anything else you’d like readers to know about your work or inclusivity in general? Disability adds value to our lives. We all benefit when people with diverse experiences have a voice at the table. Let’s all work to ensure that our communities are inclusive to everyone.